Ten years ago I packed up my crappy car and moved to New York City. My sole objective was to find out how to make movies. And I got lucky. Soon after moving to New York, I found work, working for an independent producer. Over the months that followed, I participated in a whirlwind of meetings that took a few of our projects from script to screen. And it was during that time, that I learned a lot about how to make movies. Unfortunately, I also found out that if you didn't have a movie distribution strategy, making money with your movies was impossible. Keep in mind that this was before iTunes, before social media and before crowdfunding... Back then, like many filmmakers we were driven by the popular belief that if you made your movie, you would sell it at Sundance and live happily ever after. Perpetuated by sensational headlines touting the successes of Ed Burns, Kevin Smith and Robert Rodriguez, Sundance Fever became a full-blown epidemic resulting in maxed out credit cards, angry investors and film festival rejection. Even if you were one of the few filmmakers fortunate enough to make a movie and have an amazing festival run, it soon became apparent that you were nobody unless you could reach the marketplace. And because there were thousands of poorly produced titles flooding the festival circuit, distribution became discriminatory, abusive and monopolistic. As a consequence, many filmmakers settled for crappy distribution deals. At least getting something felt better than nothing. Having worked on several features since then, I am happy to report that times have changed. 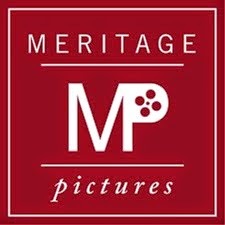 As a result of modern tools such as crowdfunding, social media and Internet based marketplaces you now have the ability to get your movie seen and selling, without the middleman. But just because you can get your title into iTunes, Amazon and Hulu does not guarantee that you will make money. To garner success, YOU are now responsible for sourcing an audience and building a platform for YOUR projects. And this reveals the next major challenge. 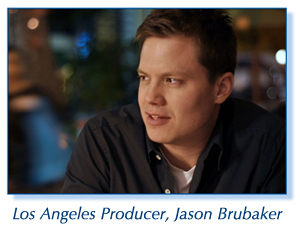 How does a filmmaker succeed in this changing business? 1. Become an Internet marketer: Or team up with someone who is. Why? Because there will come a time when there is no delineation between the Internet and your television. Or your mobile device. As a result of these changes, you will need to drive targeted Internet traffic to your desired point of sale and convert these visitors into customers. 2. Find Out How To Crowdfund: Running a successful crowdfunding campaign requires social networking, real-world networking and Internet marketing. Aside from raising money, your goal is to test all your movie concepts before you dive in both feet first. And if successful, your goal is to snowball your supporters into one giant mailing list so you can gain their support for your next projects. 3. Your Audience Is Your Business: Marketing nerds have a saying, “The money is in your list.” It is now no different to filmmakers. Your ongoing goal is to create work that encourages people to sign up for your mailing list and become a fan of you and your movies, for life. Then with each project, your ongoing goal is to continually grow your list. While what I am suggesting will require hard work, I believe this is an AWESOME time to make movies. Between crowdfunding and non-discriminatory distribution, you have an opportunity to build and run your own mini-movie-studio. Think about it. The future of filmmaking is not Hollywood. It is the thousands of independent filmmakers (just like you) who are empowered by the digital revolution. You can now make, market and sell your movies from anywhere in the world! 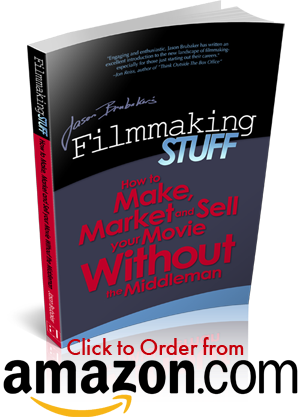 You no longer need to ask permission to make your movie! All you gotta do is pick up a camera and you go for it.